Start a new career in healthcare this new year. American Medical Institute on Cook Road is the place! Credit/Debit- Visa, MasterCard, American Express, Discover, JCB, and Money Orders/Cashiers' Checks. Test takers must bring their own locks due to the limitation of locks in the test center. It is an excellent way to prep for a great career in the health care field, and a head start in nursing school! With our complete CPR and first aid training program in Houston, Texas, you learn to do everything possible to save someone's life. 1:30pm (Tuesdays - Friday) $35 Walk-Ins Welcome! 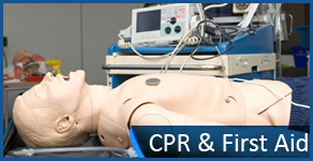 CPR Renewal 1:30pm (Tuesdays - Friday) $35 Walk-Ins Welcome! 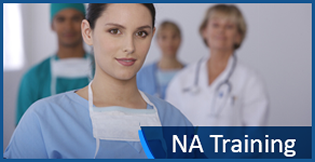 Take your first step toward a successful career in the health care industry with our complete NA training courses. Begin your journey toward a career in the health care industry with American Medical Institute Inc. of Houston, Texas. Our proprietary school offers the tools and education you need to pass your certification to become a nursing assistant, medication aid, or assisted living manager. You can even train to get a position in the prevention and management of aggressive behaviors. We devote our time and energy to the personal needs of every student, utilizing our state-of-the-art clinical laboratory for hands-on demonstrations. We also assist in helping students earn a High School Diploma. We provide training updates for managers and employees that work in assisted living facilities. Learn More about American Medical Institute Inc.
AMI Inc. embraces a people direct philosphy, which is uniquely simple. It accepts that humans are created with particular physical, mental, spirtual, and emotional qualities, and it is the task of education to assist individuals to develop the maximum of their compacity. Contact us today to pass your medical certification with our detailed training programs. Select Course by reading descriptions and based on need. Submit payment for the course(s). Payments may be made with credit or debit card or via a Paypal. Confirmation of registration and payment will be made by provider by phone or e-mail within 48.